COLUMBUS — The American Lung Association’s “State of Tobacco Control” report found that in 2016 Ohio failed to do enough to implement proven-effective policies that would save lives. The 15th annual report grades states and the federal government on policies to prevent and reduce tobacco use. 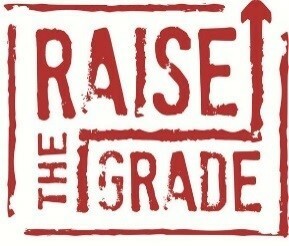 The report shows that most states and the federal government earned poor grades. Ohio has not increased the age of sale for tobacco products to 21 years old. The “State of Tobacco Control” report documents the progress and failures of the states and the federal government to address tobacco use, and the report assigns grades based on whether federal and state laws protect Americans from the enormous health toll tobacco use takes on lives and the economy. This year, the report has added a new grade on efforts to increase the minimum sales age for tobacco products to 21. The American Lung Association in Ohio calls on Ohio to act to match the tax on non-cigarette forms of tobacco; increase funding for tobacco prevention and cessation programs; and pass Tobacco 21 laws to increase the minimum age of sale for tobacco products to 21 in additional cities in the state. In this year’s “State of Tobacco Control,” the federal government earned an “F” for Food and Drug Administration (FDA) Regulation of Tobacco Products. Although the American Lung Association applauds the release of the final rule that gave FDA authority over all tobacco products, the report recognizes the Obama Administration’s failure to proceed with other key initiatives including requiring graphic warning labels on cigarettes and the federal government’s failure to move forward on issuing a rule to end the sale of menthol cigarettes nationwide – despite the recommendations from an FDA expert advisory committee. Other federal grades include a “C” for Federal Coverage of Quit Smoking Treatments, an “F” for Level of Federal Tobacco Taxes and a “B” for its Mass Media Campaigns, including the Tips from Former Smokers Campaign.